Battery Jam is a local multiplayer game of competitive territorial mayhem! 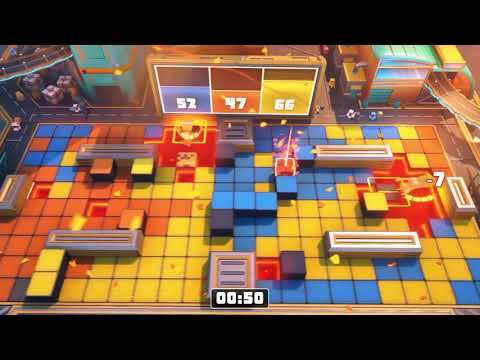 Use the boombox to smash your opponents, capture their tiles, and dominate the arena! 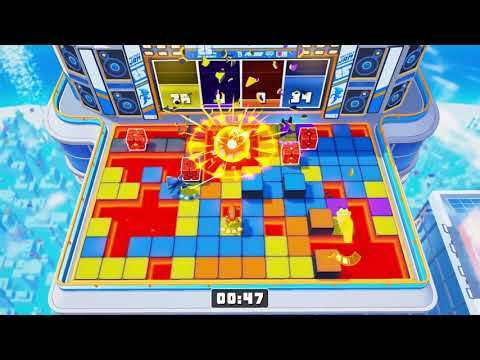 Choose one of four Jammers and compete to have the most tiles at the end of every match! 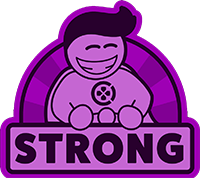 Take on your friends or play alone in Free-for-All or Team mode across eight levels! Battle your friends in Free-for-All or buddy up for Team Mode! Pit yourself against AI bots in any game mode or variation! Use them to learn the game, to have fun on your own, or to fill out a match with friends! 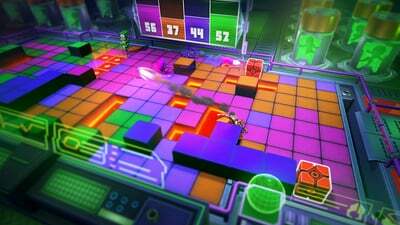 Compete in different game modes like Original Territorial Mayhem, Classic Deathmatch and more! Tweak the way you play with a dozen settings, including Infinite Energy, Match Length and Fast Mode! Play on a variety of arena layouts in wild locales for a unique experience in each match! Despite limitations, Battery Jam is still a very enjoyable game. The lack of online multiplayer would be easier to excuse if local multiplayer had a little more meat to it. With that said, it's still a very competently made indie game that's fun to play in short bursts. Just don't expect too much depth from the gameplay. As long as you can accept its learning curve, Battery Jam is a fine multiplayer game. There are plenty of things that can be done, and it takes a while to get everything down before you can start playing and enjoying yourself. Once you understand the game, you'll find that there's some depth to the chaos, and even though there's no real meat to the game beyond local multiplayer, you'll enjoy the short bursts of fun it provides as a buffer between other multiplayer titles in your possession.